Basketball on the island of Guam is a beloved sport that has the ability to bring people together. 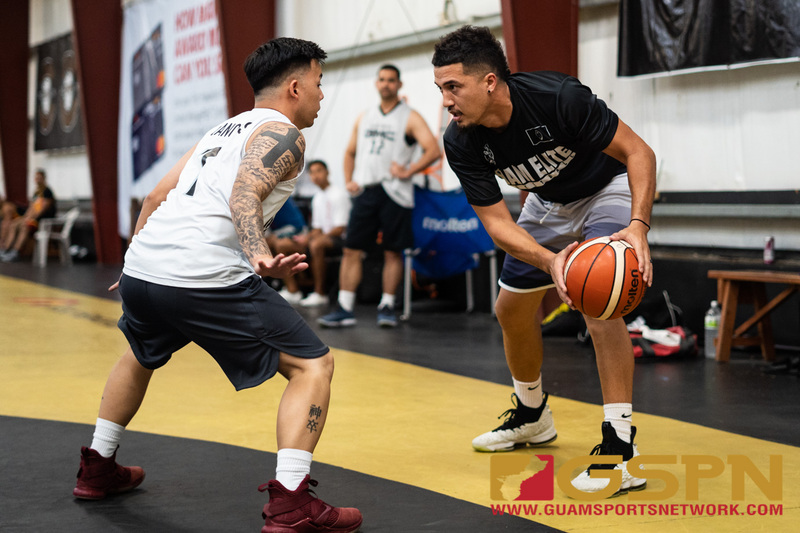 At the Guam Elite Center in Tiyan, the All Island Alumni League is being hosted for the second year in a row which features a school-on-school system with some of the best ballers playing against each other, just like they used to in high school. Through the creation of the league, Guam Elite has had great success in bringing the basketball community together to compete as well as instilling a camaraderie for the whole island to be a part of. Prior to the startup of the league last year, FD had been the only school to feature an Alumni Tournament. However, that tournament is only open to FD alumni. Will Stinnett, cofounder of Guam Elite, and an FDMS alumnus (Class of 2004) elaborated on what inspired the creation of the All Island Alumni League. Guam Elite has been successful in establishing something similar. As a spectator to these games you witness hard fought competition between athletes who are passionate about the game, and who are proud to represent their Alma Mater. The League features teams from almost every high school on Guam and still are awaiting the addition of Tiyan and Guam High. Some of the schools have more than one team in the league, and St. Johns and Harvest are currently combined. The PFC Islanders (JFK) are the current reigning champs and defeated the Guam Elite Friars (FD) in the championship game last season. They have not lost a single game since the creation of the league. So, it isn’t hard to see why Han believes this to be so vital to success in this league. These teams feature the greats from different eras of Guam basketball. And having all of these great players on one team means understanding that each player has a role to fulfill in order to get wins. Han also explained what he believes to be the best thing about the league. While being a witness to the action of these games, you’ll see athletes that enjoy competing and that love the game of basketball. Each team takes the game seriously and plays to win. But outside of basketball, this tournament is doing much more than just giving the Alumni athletes the chance to compete playing their beloved sport. This camaraderie that each of these players talk about is obvious to any spectator that comes out to watch a game. Each night a different school hosts dinner, and after the games, the players, their families, and even fans gather around and enjoy company with old friends while occasionally sharing a drink or two. It’s not too late to come out and get a piece of the action. The playoffs for the open division are ongoing at the Guam Elite Center. The semifinals are scheduled for Wednesday, October 10, and the Championship Game is set to take place on Sunday, October 21. The Masters division playoffs is scheduled to begin this Sunday but is subject to change. But don’t forget about the Women’s League! The Women’s League features five teams and has had great success since its establishment last year. Despite its success, the Women are still looking for Alumnae from all the schools to come out and compete. Chach Bola Bola, Sanchez alumnae, and member of the Guam National Team, explained the struggles of having a small league. Although the women’s league is much smaller, it is just as exciting to watch. In the summer, the women’s league features some of Guam’s collegiate athletes in Kali Benavente, Destiny Castro, and Joylynn Pangelinan. Bola Bola elaborated on the excitement of being able to compete against her fellow national teammates in the summer. This year the Women’s league is an open tournament. Initially, the women tried to stick with an Alumnae only league, but it would not have been as competitive if the league was not open. There are currently five teams participating in the women’s league: Okkodo, the Unstoppaballers, Academy, Andersen, and Fuetsa. Bola Bola expressed what she hopes to see in coming years from the tournament.